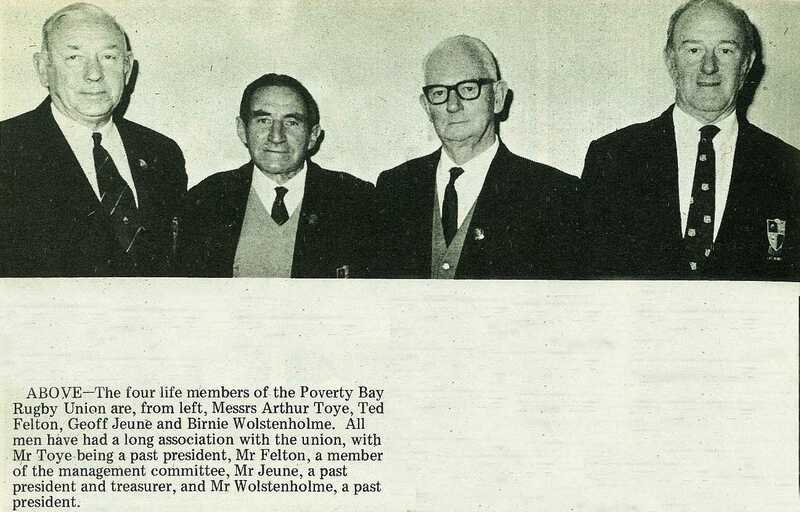 The four life members of the Poverty Bay Rugby Union are, from left, Messrs Arthur Toye, Ted Felton, Geoff Jeune and Birnie Wolstenholme. 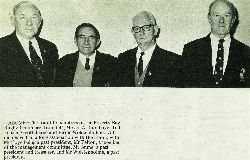 All men have had a long association with the union, with Mr Toye being a past president, Mr Felton, a member of the management committee, Mr Jeune, a past president and treasurer, and Mr Wolstenholme, a past president. 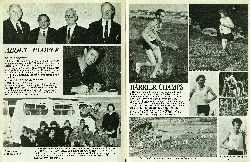 The 1972 Balm Award for best sports feature of the year was won by Iain Gillies, deputy chief reporter of the Gisborne Herald. His story was about the problems facing National League soccer teams and players. 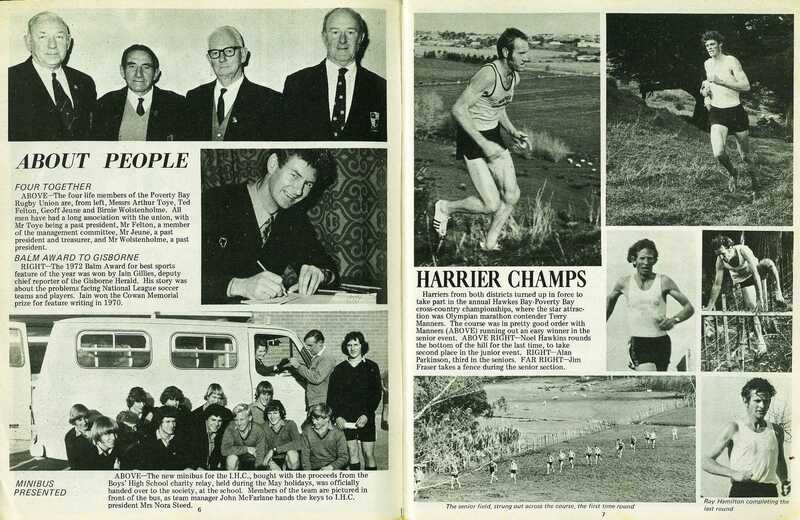 Iain won the Cowan Memorial prize for feature writing in 1970. The new minibus for the I.H.C., bought with the proceeds from the Boys' High School charity relay, held during the May holidays, was officially handed over to the society, at the school. 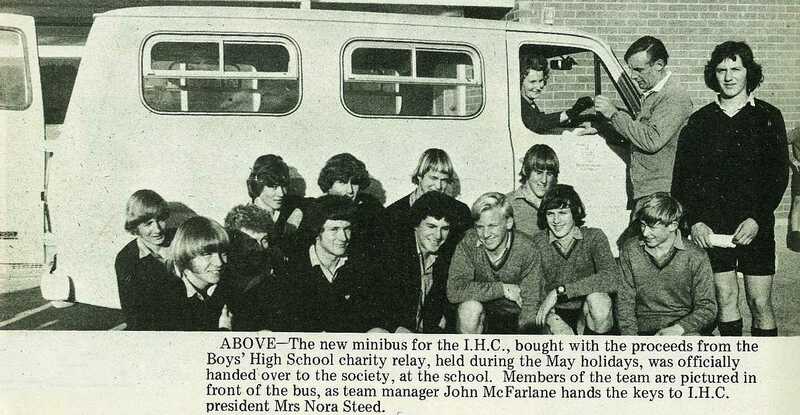 Members of the team are pictured in front of the bus, as team manager John McFarlane hands the keys to I.H.C. president Mrs Nora Steed.